All-in-one video converter/editor, online video downloader, slideshow maker. WinX HD Video Converter Deluxe 5.9.8 was available as a giveaway on April 15, 2017! 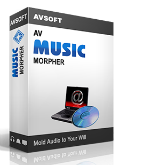 WinX HD Video Converter Deluxe is a perfect multimedia combination of the online video music downloader, video converter/editor and slideshow maker, which provides you flexible options to download, convert, edit any videos at one fling or separately. It is also the first and fastest software to convert/download 4K video, Multi-track HD and general videos by utilizing its unique Hyper-threading tech and hardware accelerator. Up to now, 410+ output profiles and 370+ video and audio codecs have been added to this program to meet users’ newest video enjoyment demands. Meanwhile, WinX continually enhances its core conversion, High Quality and De-interlacing Engine to maximize output video audio results. Exclusive Offer: The Giveaway version does not support free updates. GOTD users get a chance to win a Full Version with Lifetime Free Upgrades. Get the Upgrade License for $0. How would you improve WinX HD Video Converter Deluxe 5.9.8? Thanks to Giveaway and Digiarty Software! 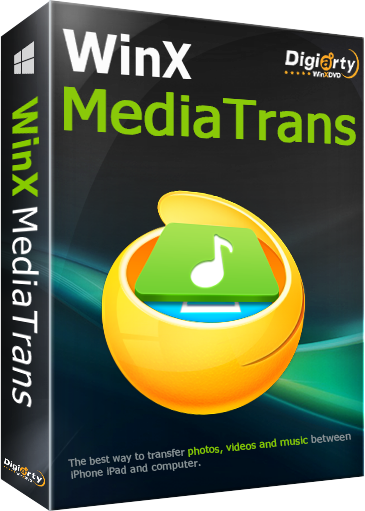 For the provided WinX HD Video Converter Deluxe 5.9.8! I downloaded and installed the program but did not get the program activation key ... ??? No key in readme.txt. What to do ...??? I sent an e-mail to the raffle for the life license and got the code - hopefully lucky! But I do not have a license key! Please help !!! Digiarty Support Team, Thanks to Giveaway and Digiarty Software! For the provided WinX HD Video Converter Deluxe 5.9.8! I downloaded and installed the program but did not get the program activation key ... ??? No key in readme.txt. What to do ...??? I sent an e-mail to the raffle for the life license and got the code - hopefully lucky! But I do not have a license key! Please help !!! Greetings and joyous holidays! cveteto, See instructions list above (post #1). You were there but must have missed it! Just click on the green button that says "Get Giveaway Version". In the new smaller window you will see an activation key. cveteto, After you launch the program a new window will open: https://www.winxdvd.com/giveaway/gotd.htm?run-deluxe-1704 Just click on the green button that says "Get Giveaway Version". In the new smaller window you will see an activation key. I haven't received a candidate number from you for your giveaway contest. cveteto, There is no code in the readme.txt file. Read first comment from Digiarty: To get license code, please : 1. Download this program from GOTD. 2. Go to Digiarty official giveaway page: https://www.winxdvd.com/giveaway/gotd.htm 3. Click "Get Giveaway Version" button, you can easily see license code. An auto “Check for update” wizard will pop up to tell you which version you are using when you launch this program for the first time. Please click "Cancel" to close it if you want to continue to use Giveaway version which does not support free upgrade. Does your program load a BRD disk conceived for only the USA, and translate it in a format that can be played on a BRD European player? Thanks. Digiarty Support Team, Does your program load a BRD disk conceived for only the USA, and translate it in a format that can be played on a BRD European player? Thanks. cveteto, try READING the readme.txt ! Don't know why this got so many positive reviews when I used it the picture was mirrored so the text was appearing backwards. just dl the s/w, no issue, checked:- clearly stated "a registered copy". i like this way, no need to waste time in figuring out is it registered. no candidate number is received. i do hope they are busy, at least i still have a chance. not the case for technical fault, totally out of the game. but how to tell i am in which case? I have version 5.9.6 from an earlier giveaway. I do like but program but I dislike the nag screen that pops up the first time the program is started. I don't know what changes were made to this offering but I will stick with my current version. Thank you for the offer. I have the same problem as Dan #20 commenter.Clicking the green button does nothing!This happened with another giveaway of the day.Why can't you make this process simpler? Does not use CUDA for Nvidia but the later method so does not offer GPU acceleration on CUDA based Nvidia chipset drivers. Also cannot get it to generate 3840x2160 HEVC encoded slideshows, it just stalls. Also uses a FILE selection function instead of the proper folder selection function, which makes image folder selection hit and miss. If you open the folder you want to select and the folder name apears in the file name box the function returns an incorrect value which fails to find the folders JPG... one has to just select the source folder NOT open it in the widget... This is a long standing bug in the program that would be so easy to fix if I had access to the dev machine! Probably because I downloaded previous GOTD version !!! Downloaded and installed, was already registered... Probably because I downloaded previous GOTD version !!! I downloaded the small file and unzipped it. It ran for only a second and a box popped up with a URL to activate my software, but I didn't see any software being installed and I can't find the program anywhere on my computer). I went to the activation page (using Firefox) and got two choices, a green box to download it for free and a gold box to buy a discounted version. I clicked the green button and a box popped up with descriptions of both the free and discounted versions. The discounted version had a button beneath it with a link to the checkout page. The free version had an activation code, but no button. So i now have an activation code, but where is the software? humm, this is a new one. Downloaded, unzipped as usual, ran the setup.exe file and get the message that the giveaway is over for the day. Gee, it's only 3:50 p.m. eastern US time here, 4/15/17. humm, this is a new one. Downloaded, unzipped as usual, ran the setup.exe file and get the message that the giveaway is over for the day. Gee, it's only 3:50 p.m. eastern US time here, 4/15/17. Program does not even try to install. A pop-up window comes up that says to go to GAOTD site to activate with no choices other than to close the window. No software installed and the installer closes and that is it. I am running windows 10 64 bit computer. click "Get Giveaway Version" button to obtain license code and activate it. Dan, I had the same problem. Go to the Digiarty website: https://www.winxdvd.com/hd-video-converter-deluxe/ download the program, install it, then go to the Digiarty official giveaway page: https://www.winxdvd.com/giveaway/gotd.htm click "Get Giveaway Version" button to obtain license code and activate it. Dan, I had the same problem ... no program installed. I tried 3 times on different computers. Any solutions? Downloaded 50mb file which magically turns into only a 2.30mb installer on extraction. Ran the installer and got exactly the same result as you. Likewise, I am running Windows 10 64 bit. Great software! Been using it for about a year now, I love it, great for video editing and publishing. However, it is being given away by everyone at any time, maybe a little more creative giveaway would be nice. Occasionally to get the GotD to install properly I have to deactivate or suspend a security program, or run in safe mode, etc. This time around (a first for a WinX product) the first time I downloaded and ran the program it did not install, I only got the "successfully activated" bit and the GotD thank you page redirect. I had to suspend my anti virus, download again, and it installed perfectly (thank you GotD). But that is just me, and I am not computer savvy. Registered for "Lifetime Free Upgrade License” and received my Candidate number in email that says "...And we will contact you again with Lifetime License of WinX DVD Ripper Platinum once you are selected as winner. Hope you are one of the lucky fellows." Hopefully that's just a typo! She introduced me to a few of her fellow students. Pat Maybe not a tad sexist ​Used of people or a person with whom you share something, esp. the same kind of job, interest, or experience: She introduced me to a few of her fellow students. The last version offered by GotD was v5.9.1, on January 17, 2016. Here is the changelog: https://www.winxdvd.com/hd-video-converter-deluxe/updatelog.htm. Installed easily and runs on Win 10 64-bit. I got the license code, and registered for the "drawing." Question: The email with candidate number says this is for DVD Ripper Platinum. Will this work with this program as well, or will it work with both programs? Installed easily and runs on Win 10 64-bit. I got the license code, and registered for the "drawing." 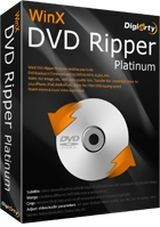 Question: The email with candidate number says this is for DVD Ripper Platinum. Will this work with this program as well, or will it work with both programs? Thanks Digiarty and GOTD! Successfully installing and running on my Win 10 64bit, no problems at all. Thanks GOTD and WinX DVD. The program installed successfully on my laptop (Win 10 Pro x64). So how it works? It took approximately 20 seconds on my laptop i5 3.00GHz with 8 GB of RAM, and the converted file works properly. I'll keep using it. Thanks GOTD and WinX DVD. The program installed successfully on my laptop (Win 10 Pro x64). So how it works? Preset: Hardware Encoder on, High Quality Engine on Input: a 7-min video in .mkv Output: .mp4 extension (HQ) It took approximately 20 seconds on my laptop i5 3.00GHz with 8 GB of RAM, and the converted file works properly. I'll keep using it. indianacarnie, It's Allavsoft, just fyi...& the best downloader of the 6 that I have. So far, every site, every time. Wizardry, I totally agree with you. Allavsoft is by far the best one I've used also. As you say, every site, every time. I see I misspelled it in my earlier review and I sure hope I didn't put anyone off of it because of that. Uninstalled my previous version and activated this without any problems. It works pretty well, still greatly compatible with my lappy (Windows 10 1607). In addition to Winx, I had once owned over five video converters (incl. freeware or gotd giveaways). Actually some of them had never been used for one time. I chucked those programs but kept Winx when I upgraded to Windows 10. I found this video converter is quite fast and powerful to get all my jobs done - commendably - supports hardware acceleration to make full use of my Nvidia 940M. Uninstalled my previous version and activated this without any problems. It works pretty well, still greatly compatible with my lappy (Windows 10 1607). In addition to Winx, I had once owned over five video converters (incl. freeware or gotd giveaways). Actually some of them had never been used for one time. I chucked those programs but kept Winx when I upgraded to Windows 10. I found this video converter is quite fast and powerful to get all my jobs done - commendably - supports hardware acceleration to make full use of my Nvidia 940M. Hi, could this software be useful to "translate" a BRD that can only be read in the USA in a format that I can use in Europe? Thanks. Does not install, wasted Mb on the download, I went to the site also to win the free licence for lifetime upgrade and I gave my email and it said a number was sent to my email, I did this twice and did not receive anything, me thinks that there is something very very wrong going on here, the bugs ate the file. I just download, install, and run this program successfully. You can download a setup from Digiarty official product page. I have tested that the setup also works with the giveaway license. Also join in “Lifetime Full Version” campaign, my Candidate No. is NO-23556814. Your email may be delayed. I guess there are more and more people to take part in this campaign. Hope Digiarty will choose me as one of the winners. Good luck to me!!! AussieCowboy, I just download, install, and run this program successfully. You can download a setup from Digiarty official product page. I have tested that the setup also works with the giveaway license. Also join in “Lifetime Full Version” campaign, my Candidate No. is NO-23556814. Your email may be delayed. I guess there are more and more people to take part in this campaign. Hope Digiarty will choose me as one of the winners. Good luck to me!!! AussieCowboy, check your spam, mine ended up there. I really like the features that let me use Intel and Nvidia to speed up the conversion. Tried out my several videos and was surprised by how quick it converts with good quality! Good job! Thanks gotd and digiarty bringing this to me. I Installed smooth on Windows 10 pro x64 and registered without a single problem. The interface is pretty clean and easy to use :) I really like the features that let me use Intel and Nvidia to speed up the conversion. Tried out my several videos and was surprised by how quick it converts with good quality! Good job! Thanks gotd and digiarty bringing this to me. "I really like the features that let me use Intel and Nvidia to speed up the conversion." Try it both ways, with GPU hardware assist on & off, comparing the time it takes to convert & the final quality. There are a LOT of variables that determine which is best for you, GPU assist on or off, including the input & output formats & frame size, your CPU & GPU make/model etc., so there really is no one-size-fits-all recommendation. Donna, <i>"I really like the features that let me use Intel and Nvidia to speed up the conversion. "</i> Try it both ways, with GPU hardware assist on & off, comparing the time it takes to convert & the final quality. There are a LOT of variables that determine which is best for you, GPU assist on or off, including the input & output formats & frame size, your CPU & GPU make/model etc., so there really is no one-size-fits-all recommendation. To get it to work boot in safe mode without AV active and run setup - very dangerous in terms of leaving yourself open to malware. Rob Ryan, OR download direct from their site and use the giveaway license code to activate the deluxe license. WinX is very professional in power, yet easy to use. I am very happy with this robust, fast and feature rich software. I was always headache on how to play my digital camera video on my other devices, well, winx makes it easy. It automatically converts the file to work with like an iPad, etc. I also love the feature to download video from online video site. The video downloading and converting is integrated, such a convenience. steve, you can go to the product page to directly download https://www.winxdvd.com/hd-video-converter-deluxe/ sometimes, the firewall or some antivirus tool will block gotd's running box. but everything is fine in here. I download, install, and run this program successfully. You can download a setup from Digiarty official product page. I have tested that the setup also works with the giveaway license. steve, I download, install, and run this program successfully. You can download a setup from Digiarty official product page. I have tested that the setup also works with the giveaway license. It's doing the same thing like last time I tried installing a GoTD. Ran setup.exe & all that happens after connecting to GoTD is that I get a box saying "successfully activated" then taken to a web page saying "what to do next". THE PROGRAMME DOES NOT ACTUALLY INSTALL AT ALL! Brendon Bunker, see comment Steve. Mavadelo, Thank you. I did manage to install it after disabling all my Avast AV shields for 10 minutes.